The first commercially available Firefox OS smartphones – the Peak and Keon by Geeksphone – are already pretty cheap, priced at €150 ($200) and €91 ($121) respectively. That doesn't mean, however, that smartphones powered by Mozilla's mobile platform won't go any lower than that. In fact, $50 Firefox OS handset are expected to launch in India, produced by a local smartphone company. Lava is the Indian company that has chosen tho give Firefox OS a try. It is currently known for producing affordable Android smartphones with a reasonable set of features for what they cost. It's latest Lava Iris model, for example, packs a 1.2GHz quad-core processor, 4.5-inch screen, and 8MP camera, yet can be bought for the equivalent of roughly $145. The upcoming $50 Firefox OS, on the other hand, will most likely have an unimpressive specs sheet. But hey, it might still be better than alternative phones costing as much. 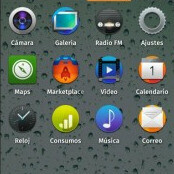 Lava has yet to announce any details as to when its low-cost Firefox OS smartphone may be released. In the meantime, you can keep an eye on the Geeksphone web page in case you want to grab yourself one of them Firefox OS phones. 145$ quad-core? :o Which one? Even I don't know! chinese phones don't offer any warranty do they? and the ones that offer warranty are more expensive than the ones sold by lava... and many chinese phones don't have imei numbers. From Lava? I don't think so! well that's how you make money !